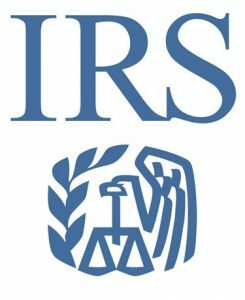 The Internal Revenue Service (IRS) announced recently the nation’s tax season begins Monday, January 29, 2018. The IRS also reminds taxpayers claiming certain tax credits to expect a longer wait for refunds. Nevertheless, many software companies and tax professionals accept tax returns before January 29, 2017. Be aware! These prepared returns cannot be submitted until the IRS system opens. Any money received prior to the opening of the Income Tax season may cost you! Early refunds are often charged processing fees as well as interest. In 2017, under the change required by Congress in the Protecting Americans from Tax Hikes (PATH) Act, the IRS is to hold refunds claiming the Earned Income Tax Credit (EITC) and the Additional Child Tax Credit (ACTC). The IRS expects the earliest EITC/ACTC-related refunds to be available in taxpayer bank accounts or on debit cards starting February 27, 2018, if these taxpayers choose direct deposit and there are no other issues with their tax return. For taxpayers not claiming the EITC/ACTC-related refunds, three weeks is the normal time it takes for a tax return to be processed, factoring in weekends and holidays. In fact, calling the IRS will not expedite your return/refund; typically, an IRS representative can only research the status of your refund 21 days after you file electronically and 6 weeks after you mail your paper return. Nevertheless, it is your inherent right to both pay taxes and communicate with the IRS about the status of your taxes. You can start checking on your refund status electronically 24 hours after filing your taxes electronically or three weeks after mailing a paper return. Note: The filing deadline to submit 2017 tax returns is Tuesday, April 17, 2018, rather than the traditional April 15 due date. This year, April 15 falls on a Sunday, and this usually would move the filing deadline to the following Monday – April 16. However, Emancipation Day – a legal holiday in the District of Columbia (DC) – will be observed on that Monday, which pushes the nation’s filing deadline to Tuesday, April 17. Under the tax law, legal holidays in the District of Columbia affect the filing deadline across the nation. Choosing to both e-file and provide a means for directly depositing refunds remains the fastest and safest way to file an accurate income tax return and receive a refund. Adapted from the IRS Website.